Are you confused about which Water Ionizer to buy? 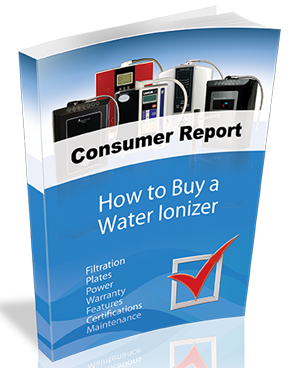 About our Water Ionizer Buyer’s guide. There are dozens of alkaline mineral water ionizers to choose from in today's growing market place. You need to know what to look for and what countries and companies have the best quality and value. Did you know that it is not a good idea to buy a alkaline water ionizer from China, Taiwan or Malaysia? Did you know that the majority of alkaline water ionizers are not even legally supposed to sell in some states as they lack the proper "Lead-Free Certification?" These are the types of facts and knowledge included in our Water Ionizer Buyer's Guide! Download your free copy today!